The fatal shooting on Saturday of an unarmed black man in South Carolina by a white police officer now charged with murder was clearly on the minds of Maryland senators as they debated a 28-year old cap on damages in lawsuits against towns and counties in similar wrongful injuries. The senators were attempting to balance the interests of both taxpayers and victims. Some senators were worried that smaller towns would go bankrupt if the cap on damages was raised from $200,000 to $500,000, as HB 113 would require. “If you watched television last night, that’s the example. It happened in South Carolina, but it happened here too….where a police officer shot somebody in the back,” said Sen. Bobby Zirkin, chair of the Judicial Proceedings Committee on the Senate floor Thursday morning. Zirkin was referring to a shooting in Langley Park that happened in August 2008, where Manuel de Jesus Espina was fatally shot by Prince George’s County Police Officer Steven Jackson. Espina’s wife was awarded $11.5 million by a jury, but under current tort-claims law applying to Maryland governments the Espina family was only able to get $200,000. “Her husband was murdered…not only do they have the loss of her husband, but the loss of income, the loss of companionship and all the rest,” said Zirkin. When an agent of the state is found guilty of a crime the “parent,” or county, pays for it with its insurance or is self-insured. Currently Maryland’s tort-claims total award for an individual is capped at $200,000. In an effort to aid the Espina family, the judge tried to award an extra $5,000 on top of the capped $200,000 to cover funeral costs. This was also denied. “Even the funeral wouldn’t be paid for. Why? Because that’s our law…there’s no discretion, it’s a hard cap,” said Zirkin. According to Zirkin, this is just one of several cases, including one in Baltimore City where a six year-old was not awarded his claim in a lead paint poisoning case because the child did not file a claim within six months, as the law for Baltimore City requires. “Quite frankly, they (tort-laws) make no sense except in order to avoid giving the victim compensation,” opined Zirkin. The Senate Judicial Proceedings committee found the number reasonable; due to inflation over the years, $200,000 in 1987 is only equal to $90,000 now. 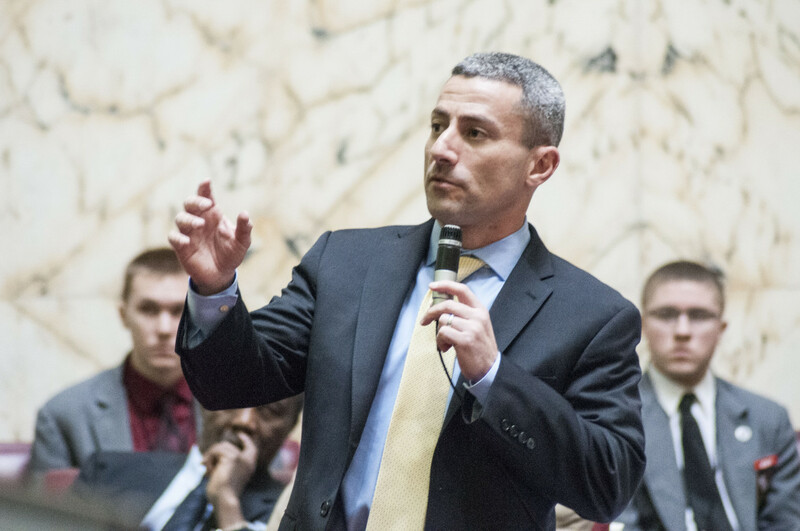 The $300,000 cap increase has some senators, along with the Maryland Municipal League and the Maryland Association of Counties, worried about the smallest jurisdictions. “There are a lot of small cities and towns that do not have police forces…these little towns could be vulnerable to lawsuits that could bankrupt them,” said Sen. Cheryl Kagan, D-Montgomery. The Maryland Association of Counties sent out an alert to its members Thursday, urging them to contact their senators and oppose the bill. Kagan believes the county’s insurance rate increase, an average 3-percent per $100,000, would be too heavy a burden for small towns to bear. In response, Zirkin argued that towns and counties have been given an advantage the past 28 years, as inflation rose and the tort-claims cap stayed the same. “My advice to them would be, be careful. Don’t do bad things to hurt people. This line has not changed for almost 30-years, to the benefit of our counties and to the detriment of our citizens.” said Zirkin. Many senators stood up to recognize they represent taxpayers and victims, not local governments. “We also had to recognize that it’s not only the county governments we represent, but we also represent the people…If the county cannot handle it, then what about the families?” said Sen. Anthony Muse, D-Prince George’s. In a voice of compromise, Sen. Jamie Raskin, D-Montgomery, argued that the passage of a new tort-claims cap will be a “line drawing exercise” for legislators; balancing between justice for taxpayers and fairness for counties. The bill will be heard once more on the Senate floor before moving to the House for final passage. In a move to cut off the prolonged debate, Senate President Mike Miller took a vote on the committee’s favorable report and it passed 28-19.